We offer the best managed Dedicated Server Solutions available combined with unbeatable Support. Available with Linux operating systems and Plesk,cPanel/WHM, our Dedicated Server Solutions also come with 24x7 Proactive and Server Secure hardening. EyHost's dedicated servers deliver performance, security and control for mission-critical workloads. Our entry-level Budget Dedicated Servers are suitable for every budget from business start-ups and small to mid-level businesses perfect for medium/high traffic websites and e-commerce applications. In addition, each budget server offers add-ons which help you customise your level of management and support of the server, from backup to security patching and advanced monitoring. Now you can host your website on a high-class dedicated machine set up and managed by our best experts. 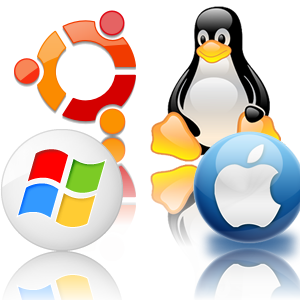 In addition we provide a lot of highly innovative proprietary software to boost your server performance and give you more functionality than anyone else. Run, automate and manage your applications and websites with ease Know more. Let us manage your server so you can concentrate on your business and website. The most powerful, yet simply web hosting control panel in the world at your disposal, free of charge. Leading WebOps platform for automate, and manage applications and websites. Full root access for hosting pros who want to be on top of things. To maintain your server, we offer 24/7 support for both your infrastructure and apps. Our all dedicated server comes with IPv6. We provide The World’s best IPv6-compliant Open Recursive DNS Service. Offering one speed: High Gear. Secured Dedicated Across The nation. We will get you 30 days money back guarantee. After you submit your order to us, we do manual verification of your order and submitted details to combat fraud. This causes a slight delay with your order, but it does keep our network clean and our servers running optimal. Then we process the order. After getting payment our system automatically activates your service. All dedicated servers at EyHost are custom built and tailored to the exact needs of our clients. We don't utilize stock or rental servers and we don't use cheap components to cut down costs. We use fully buffered ECC RAM, industry quality hardware and drives and test and harden each and every server before we deploy it. We are known in the hosting industry for our superior support team and service reliability and uptime. We harden and secure each server before we deploy it to our clients, which means there's a firewall running, rDNS has been setup, MySQL, FTP and SSH so that we can guarantee very fast and secure server backed by a great SLA. After construction, testing, hardening and securing and testing more, we deploy the new server to our client. Any requested control panel, hard drive partitioning or other specification submitted with your order is being taken care of and finally we send you the login details so you can go ahead and do what you want with your new server. If you are in need of assistance, we are here for you 24 hours a day, 7 days a week and truly all days of the year. Test us out, give us a call on Christmas Eve on 10pm and yes, we'll be there to assist you. KnownHost thrives on excellent support, and we'll make sure we do whatever we can to make sure our support is a smooth and courtest experience.